A recent Nature Microbiology editorial requested “Stop neglecting fungi”. I completely agree and would like to suggest teaching mycology as a remedy. Why is mycology then rather a micro- than the “megascience” (Hawksworth 2009) that it should be? The problem does not seem to be the lack of appreciation of fungi, but rather the invisibility of mycology as a field in the academic landscape. Historically, fungi were considered plants and studied in the respective department ("The Teaching of Mycology" 1949), while nowadays they are often lumped together with “microbes” (where prokaryotes and viruses are usually the focus). Fungi are studied in a plethora of other disciplines (e.g., zoology, ecology, or molecular biology) too, where they play important roles but do not fit either; they fall between the stools that are occupied by the classical scholarly disciplines. According to the free online dictionary, “to fall between two stools” means “to fit into neither of two categories and, hence, be neglected or fail”, which seems exactly mycology’s fate. Mycology institutes and departments at every university are an unlikely existence in the near future, but smaller steps may help increasing the visibility of fungi. 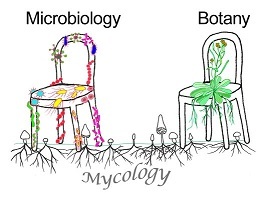 Augmented attention to fungi in teaching may be the most effective strategy to slowly carpenter the chair for mycology that will assure its recognition as a distinct discipline within the broader field of biology. This will require new courses, additional faculty and more research projects specifically targeted at fungi in order to render the field of mycology an attractive choice for competitive and ambitious students and to avert neglect and failure. Start teaching mycology! 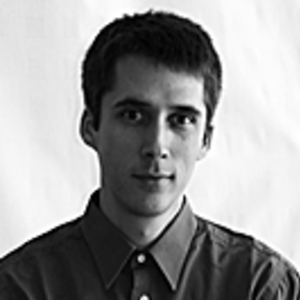 Florian is a senior researcher and mycologist in the group of phytopathology of fruit and vegetable crops at Agroscope, the Swiss centre of excellence for agricultural research.